What does veterinary practice management software have to do with sea turtles? Lots, it turns out. Both sea turtles and great veterinary software platforms have three characteristics in common that keep your veterinary practice efficient and healthy (from a business perspective). For starters, sea turtles are very fast swimmers. They’re not slow like their land cousins, thanks to their body shape, which is streamlined and tapered at both ends. This reduces drag in the water so sea turtles can get where they need to go, quickly and efficiently. Like the sea turtle’s body shape, your practice management software should help you move through your tasks quickly and efficiently so you can get more done each day. That’s how we designed NaVetor, with intuitive, efficient workflows to help you minimize clicks and save time. For example, flexible, quick-view dashboards help consolidate important information into a single view, and these views can be customized for the different roles in your practice. Front desk staff can see upcoming appointments, checked-in patients and all-staff announcements, while practice managers can view key performance indicators such as performance by provider and patient compliance. Appointment calendars can also be customized so that staff can work quickly to schedule or reschedule appointments. Patients can be checked in right from the calendar, and at the same time, NaVetor automatically creates a SOAP record that’s ready to use during the appointment. Sea turtles are the ocean’s best navigators. Sea turtles are born on a limited number of spawning beaches, and those that survive can take decades to reach maturity. Once they do, they follow their instinct to swim thousands of miles to find breeding sites. Adult female sea turtles mate at sea and then head to land to lay their eggs – sometimes finding the same beach where they hatched decades ago. No GPS needed! Likewise, practice management software should help you effectively navigate your business, giving you the tools to make good decisions quickly. NaVetor’s patient workflow tool maintains a quick snapshot view of everything happening within your veterinary practice at any given time. It even contains a client-friendly view that can be projected into your waiting room where clients can see the status of their pets. Similarly, NaVetor’s electronic medical records are designed to efficiently create and maintain paperless medical records for each patient to help you make better decisions, manage treatment plans, and capture charges electronically. These patient records track SOAPs, treatments, and client communication, all in one place. NaVetor contains several common treatment plans to help you identify the best treatments for common issues, and it also allows you to create templates for treatments you often prescribe, to navigate your workflow without sacrificing quality care. Sea turtles play a critical role in the health of beaches and marine life. In the ocean, many types of marine species depend on beds of seagrass for breeding. Seagrass must constantly be cut short to help it grow. Guess who takes care of that task? Sea turtles! (And manatees.) As sea turtles graze on seagrass throughout the ocean, beds flourish, offering healthy breeding grounds for a host of marine life, both up and down the food chain. Sea turtles also help protect fragile beaches from erosion. When sea turtles return to land to lay their eggs, only a few eggs actually survive. Eggs that don’t hatch become nutrient sources for vegetation, helping plants to grow strong root systems that protect beaches from being washed away over time. 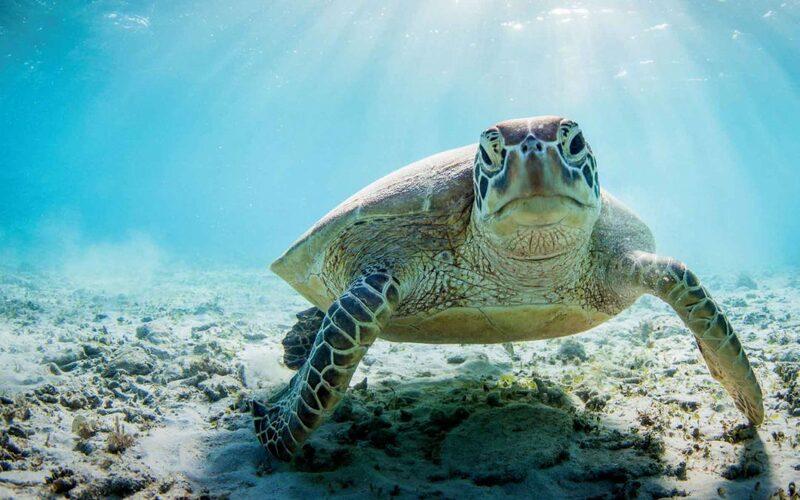 Just as sea turtles play a critical role in maintaining the health of beaches and marine life, great practice management software plays a critical role in the health of your practice. It goes beyond just storing data and actually tracks key metrics and performance indicators so you can keep tabs on the health of your practice and make adjustments where needed. We’ve built those functions into NaVetor, along with streamlined billing and financial management and comprehensive financial reports that can be easily exported to Excel, PDF, or Word files. With NaVetor, you can easily manage the business side of practicing veterinary medicine to keep your practice healthy and strong. That’s why we selected the sea turtle as part of the NaVetor brand. Learn more about the different sea-turtle-like features that NaVetor offers. Then set up a personalized demonstration of the software to see how NaVetor can help create speed, efficiencies, and overall business health within your veterinary practice.